It is still early February and much too early to be thinking about Spring. Our El Nino weather pattern has brought lots of very welcome rain and Sierra snow but for the last few days and for all of this week it is forecast to be in the 70's maybe even 80's. Yesterday afternoon we went for a walk along the bike and walking trail near where we live. 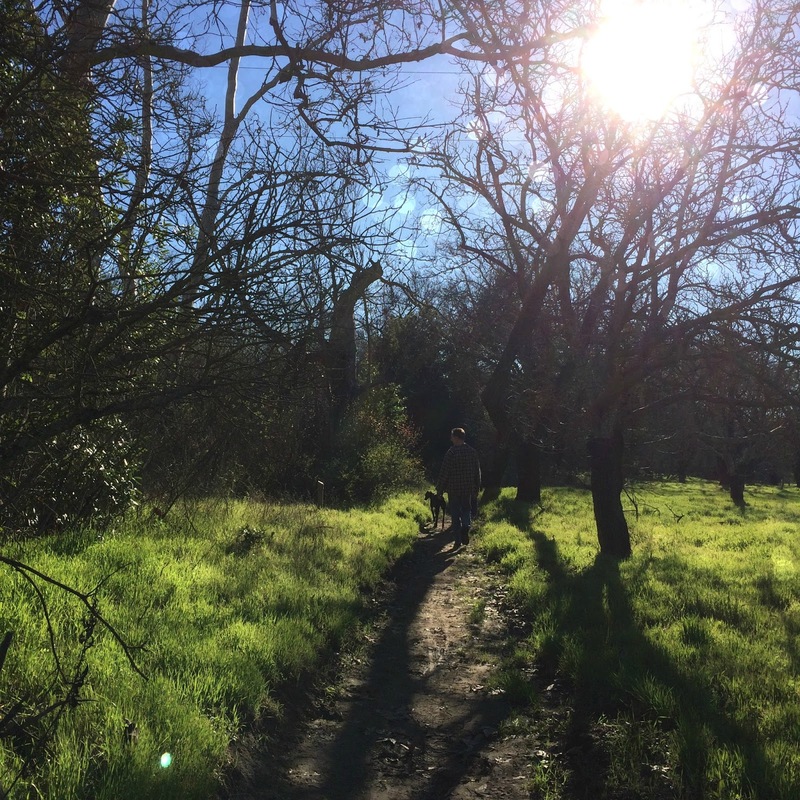 It's a trail that winds through old orchards, open fields, and runs along next to a creek. The neglected orchard is full of plum trees with small sweet plums which we have picked in the Fall. Yesterday these trees were breaking out into blossom and the air around the flowers was thick with all kinds of happy thrumming bees. 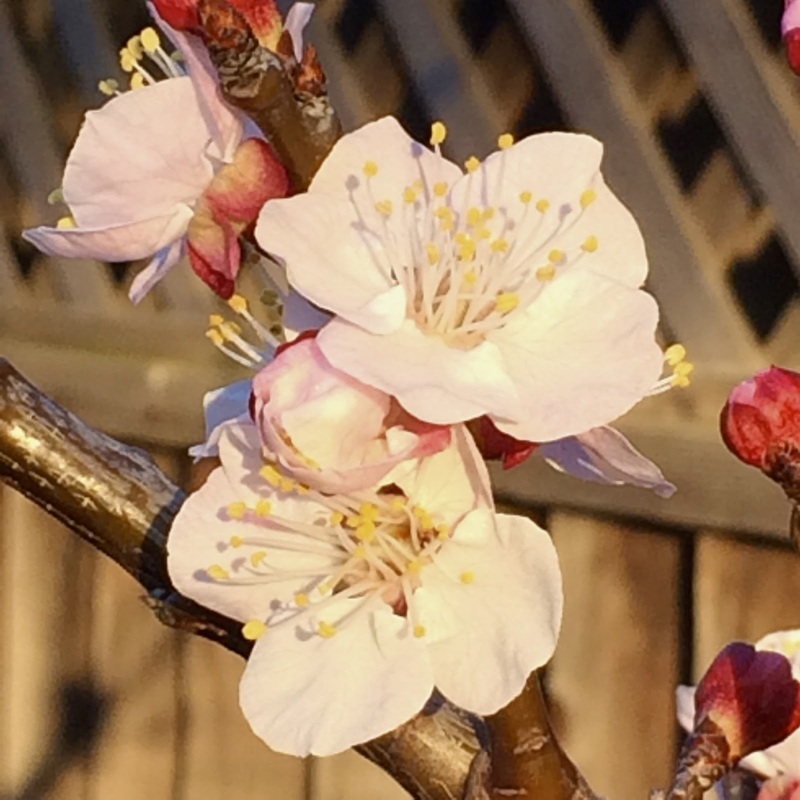 In my own garden, there are flowers on my apricot tree! Surely it is much too early for those?! The blueberry bushes have flower buds and the cheerful yellow forsythia buds are just unfurling. I'm not ready for it to be Spring. I like Winter. 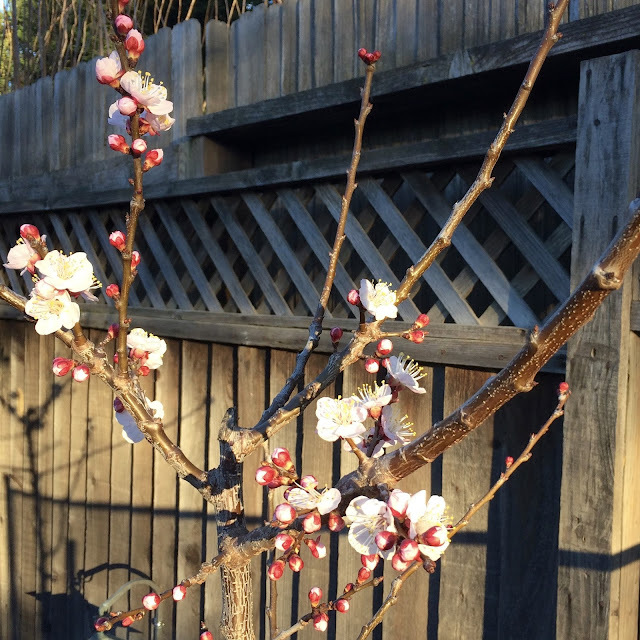 Besides it isn't time for Spring and we will get more frosts and Winter storms and then the farmers (and I) will be worried because our fruit tree blossom will be damaged and the harvest smaller. Meanwhile though, I will enjoy the gift of sunshine and drink my afternoon tea outside on the back step while my greyhound basks on her bed in the sun.